Cabinets, countertops, hardware and the many other details in your project are simply components that will come together as we interpret and help you to create your vision. Best of Houzz 2017! We focus on residential architecture & interior design for both new houses & renovations. We can help with all facets of your project, from floor plans through project facilitation. We are a family owned business dedicated to delighting our customers and altering their perception of what is possible with custom kitchen, bath and furniture design. 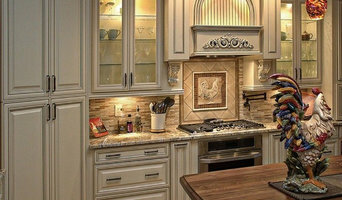 Mid-State Kitchens is a full service kitchen design center and cabinet showroom. We have cabinets to fit every style and any budget. We get the best possible pricing from our suppliers, which allows us to be extremely competitive with the warehouse stores. 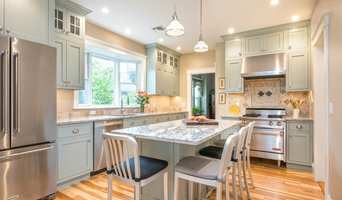 Planning your dream kitchen is a very personal, detailed experience. Mid-State Kitchens understands how important it is for your project to live up to your dreams. Our experienced in-store designers will help you accomplish your goals, whatever your cabinetry needs may be. 75+ years of combined experience in design & sales of kitchen & bath cabinetry, counter tops, accessories, & plumbing. From stock to custom cabinets, we offer all levels. Check out our work! Top quality, brand-name products, combined with over fifty years of experience in kitchen and bath design, assure that you will find the styles and innovations to make your dreams come true. Designs by A.R.S. offers Kitchen and Bath Design Services, Cabinetry, Granite & Solid Surface Countertops, Sinks & Hardware along with the benefit of years of kitchen and bathroom construction experience to our clients. Our goal is to design spaces for our clients that are not only beautiful, but fully functional. Offerings include custom & semi-custom cabinetry, countertops, sinks and hardware to suit all tastes and budgets. Whether you are a homeowner who likes to “Do-It-Yourself”, a contractor or builder who has projects that require cabinetry & granite or someone who wants one trusted source to manage the project from beginning to end, Designs by A.R.S. has something for you. We invite you to stop by our Kitchen & Bath Gallery, conveniently located at 1 Man-Mar Drive in Plainville, MA. Since our company was founded in 1929, SieMatic has always built exemplary kitchens, constantly perfecting our quality, and expanding our repertoire of innovations and possibilities. 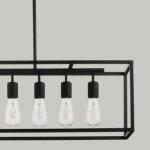 While trends are something to consider, I follow a design aesthetic that exemplifies you & your quality of life. I pride myself on redefining a home with care & respect toward you and your budget. At Thayne Emrich Design, we are committed to helping you live the way you want by integrating all the critical elements that make up your personal spaces and reflect your lifestyle needs. Monique Studio designs and produces custom glass solutions for bathrooms, showers, kitchens and the living area of the home. Glass is a durable and healthy medium that does not require extensive maintenance or use of harmful chemicals for cleaning. Monique's Studio offers a wide variety of shower doors, backsplash solutions, glass sinks, glass panels, accent tiles and glass accessories that can fit any room in your home. 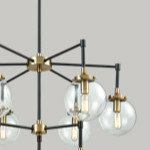 All the projects at Monique's Studio are custom designed and made with high quality workmanship and materials. We offer full service design and fine cabinetry solutions for the entire home, including kitchens, baths, offices, libraries, closets and media rooms. Call today or visit our local showroom! 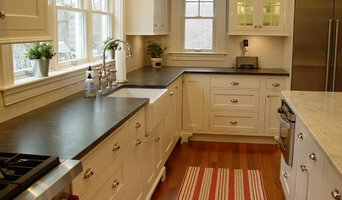 We are a local cabinetry and counter top retailer conveniently located in Worcester on Shrewsbury street. We carry cabinet lines priced from extremely inexpensive, yet well built, to higher end custom cabinets that many of you may be looking for. 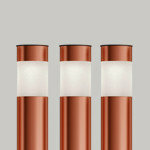 With a variety of cabinet lines to choose from, we are able to accommodate a broad range of budgets. You fill find our prices to be extremely competitive. From practical to incredible, Spotlight Kitchen and Bath Inc. is your choice for superior remodeling results. We can guide and coordinate your new construction and remodeling projects through design, cabinetry selection and installation. Our highly qualified and experienced design team with work your individual needs to create a design that is custom to fit your lifestyle. We offer full service design and fine cabinetry solutions for the entire home, including kitchens, baths, offices, libraries, closets and media rooms. 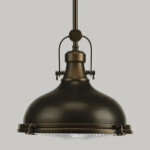 We also carry tile, backsplashes, cabinet hardware and the latest lighting choices. Spotlight Kitchen and Bath Inc. is a member of the NKBA (National Kitchen & Bath Association) to ensure we are up to date on the latest industry trends and to support our respective industry in an effort to better serve our clients. Please feel free to drop by to see our new showroom or schedule an appointment so that we can introduce you to the lines we carry. Contact us for a free in-home consultation! Our finely tuned design process produces kitchens, bathrooms, home offices and entertainment centers that are tailored to every customer’s lifestyle and fulfill their dreams for beauty and function. Achieving flawlessly functional and attractive kitchen and bath design in Framingham, MA requires a professional who specializes in these spaces. Not only do these rooms see the most action of the house, but they require the most planning and attention to detail. When designing them, a bath and kitchen designer must keep a strong focus on the homeowner's wants and needs while also considering things like potential resale value. Read the tips below to learn how to choose the perfect Framingham kitchen and bathroom design professional for your home project. 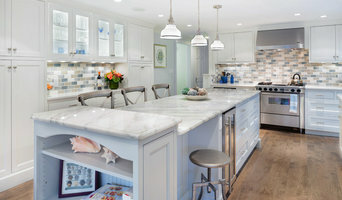 What does a Framingham kitchen designer or bathroom designer do? A kitchen and bath design professional in Framingham, MA knows to take all of these crucial points into consideration and can help plan the layout, materials and overall look and feel of either of these rooms in your home. Kitchen designers, as well as bathroom designers, are constantly staying on top of trends in the ever-changing industry. The designer also knows the best layout for your room, and can configure the layout for optimal functionality and utilization of the space. In the kitchen the refrigerator, stove and sink should be laid out in relation to one another, and it should be seamless and easy to move from one to the other. A Framingham kitchen and bath designer will know how to work with a contractor and architect to plan the flow of the room to work best for your needs. Here are some related professionals and vendors to complement the work of kitchen & bath designers: Kitchen & Bath Fixtures, Appliances, Tile, Stone & Countertops, Cabinets & Cabinetry, Woodworkers & Carpenters. Before you talk to bath and kitchen designers in Framingham, MA, consider how you will use the room. For your bathroom, is it necessary to have a bathtub for bathing kids or pets, or would a shower suffice? Perhaps all you need is a half bath for downstairs or a smaller guest bath for occasional use. Similarly, for kitchen renovations consider your cooking habits. Do you eat out every night but need a space to entertain in? If so, a smaller kitchen might be fine for you, with a space devoted to wine storage or a bar, whereas others might prefer a bigger stove or extra cabinets. When interviewing Framingham kitchen and bath designers, make sure to share these habits so they can best fit the room to suit your needs. Find a Framingham kitchen designer or bathroom designer on Houzz. Narrow your search in the Professionals section of the website to Framingham, MA kitchen and bath designers. You can also look through photos in Framingham, MA to find a kitchen or bathroom you like, then contact the professional who designed it.